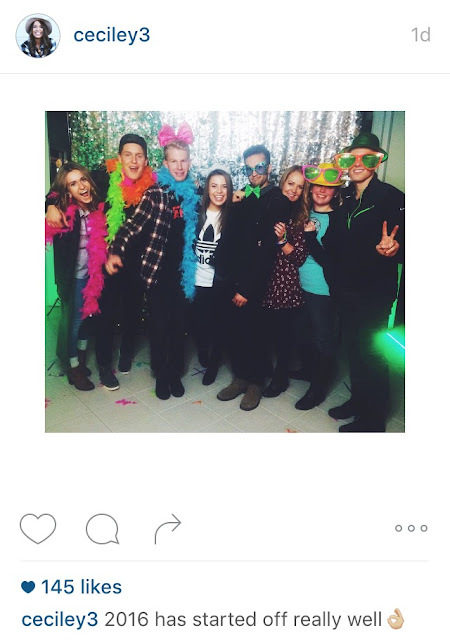 According to my Instagram, 2016 started off really well. Anyone that might have seen this post on either IG or Facebook could easily assume that statement was true. I mean, after all, that's what I said, right? Here's the thing. This is simply the part of my New Years that I decided to share with the world. No one saw all that happened behind the scenes. What people don't know is the reality. What people don't see are the tears and frustration that occurred just hours before this photo was taken. What people aren't aware of is that the next 24ish hours were some of the hardest I have had in a long time. What people don't realize is that in reality, 2016 did not start off well. But for some reason, we live in this world where we feel some strange need to proclaim to everyone that our lives are perfect and that everything is fantastic. I'm sure that your newsfeed has been overwhelmed with images of New Years and the countless proclamations that THIS year is going to be THE year. Believe me, I had the sincerest intentions to "Start 2016 off with a bang and make it my best year yet" just like everyone else. In fact, I even made it "appear" as if I had accomplished just that. Now, please understand that this is not intended to be a "poor me" post where I anticipate getting loads of unwarranted pity. No. This in fact is just the opposite. While 2016 did not start off in the way that I planned, enjoyed or even pretended on social media, it started exactly how I needed it to start off. Here are some "take-aways" that I have learned by having a terrible, no good, very bad start to my New Year. As far as anyone knew, I had an outstanding New Years...according to social media. Unfortunately, my post on social media only provided a small portion of the reality. To be completely honest, I did have a fantastic night. But the reality is that night started out really rough and the following day was not much different. Social media is not real life. It is simply a highlight reel. As much as I am against this, I fall into the same trap and my New Years post was no different. Having a less-than-ideal start to my new year really bummed me out. I think we have a tendency to put a lot of focus and hype on the new year. While there isn't anything inherently bad about that, we shouldn't need to wait a whole year to improve our lives. December 31, 2015 and January 1, 2016 were not the best days of my life. I anticipate I will have lots of days throughout my life that aren't so great either. 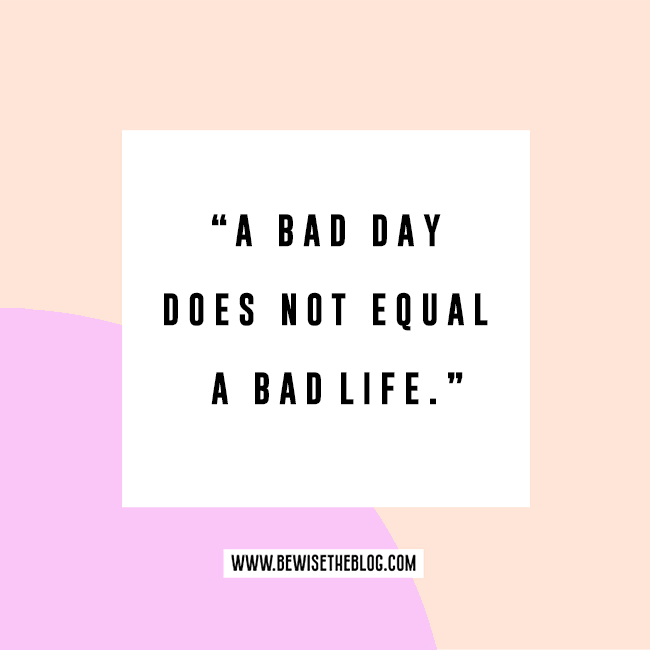 But, a bad day does not equal a bad life. Just because the first day of my year was not ideal does not mean the the second day of 2016 can't be my best day yet. Don't wait for New Years to start over. Each day is a fresh start. The last three days have brought me closer to my Heavenly Father than I have been in awhile. I wish I could say that this was because of my own desires. Unfortunately, it took some really difficult things happening to humble me enough and bring me to the point where I realized I can't do it without Him. Let's be real. Life can be hard. But, life is even harder when we try to do it all alone. I can honestly say that even with a super yucky start to my year, I am CHOOSING to make 2016 my best year yet. Let's all try to be a little more real, improve each day, and rely more on our Heavenly Father to get us through not just the bad, but the good days too.